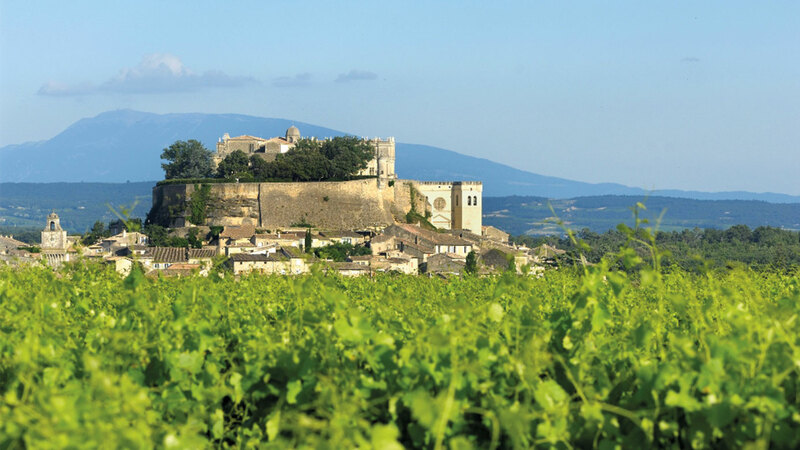 Dominated by a spectacular château belonging to the Marquise de Sévéigné, Grignan is one of the prettiest villages in La Drôme. 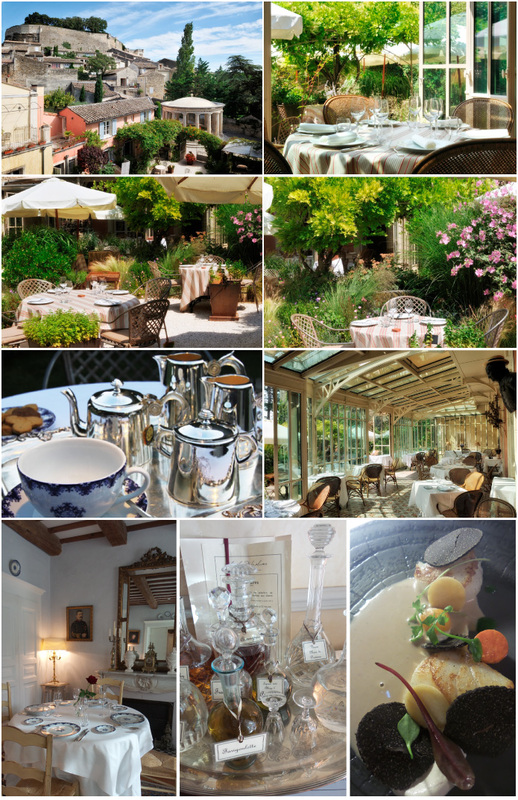 Nestled at the foot of a hill of winding country roads, Le Clair de la Plume is much more than a charming hotel: it is a luxurious and secluded spot for lovers of beautiful things. 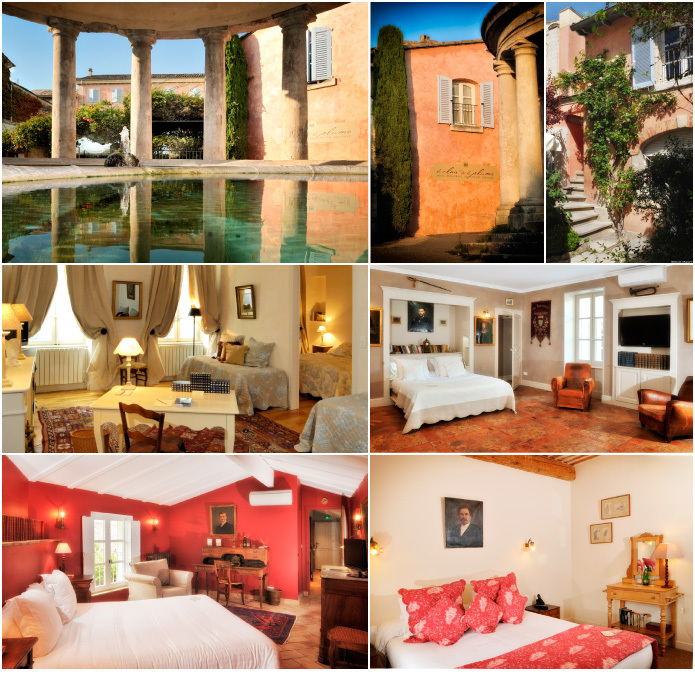 Concealed behind a superb washhouse reminiscent of a Greek temple, Le Clair de la Plume is a haven of peace. Installed within the former home of a diplomat, the hotel is amongst the addresses to share with friends. There is no austerity here, only discrete luxury and attention is paid to the tiniest detail, making it a valuable mini-break spot. Whichever room you enter, it is as if you find yourself in an extremely beautiful family home rather than a relatively modern establishment. The house, transformed into a hotel in the early 2000s, has lost none of its character, nor its authenticity. Jean-Luc Valadeu, the happy owner, kept watch over the most minor details: the majority of the furniture and ornaments were bargain-hunted in antique dealers and second-hand boutiques around the region. Mountains of books, found throughout the house, were selected for both their rapport with Madame de Sévigné’s epistolary talent and their literary quality. And you do feel as if they have been actually read…As for the table decor, these pieces are mostly French-made: the crockery was tailor-made by a Limoges porcelain expert; the glassware, silverware and linen are the work of French ateliers. From the first days of summer, the little garden transforms into a lunchtime terrace, unless you prefer the winter garden and its glass roof. This domain belongs to young chef Julien Allano who, at just 32 years old, has recently clinched his first Michelin Star. His elegant cuisine makes the most of local products – it must be said that this region is particularly generous – and respects the different seasons. While truffles rule the menu through the winter and early spring, this chef is constantly coming up with new creations, from a brasserie style at lunchtime to gastronomic excellence in the evening. 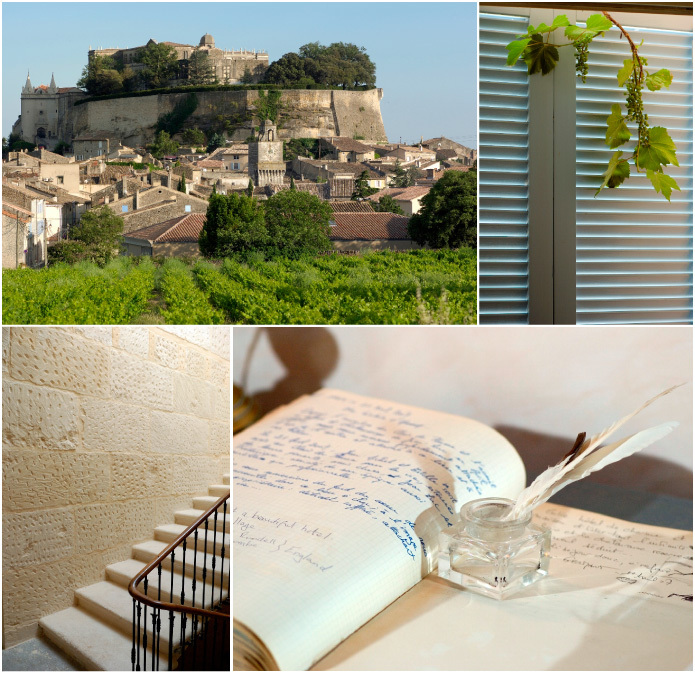 For lovers of solitude, Le Clair de la Plume has created a mini-paradise. Just a stone’s throw away from the hotel, the Lover’s Lodge offers a little house for two. 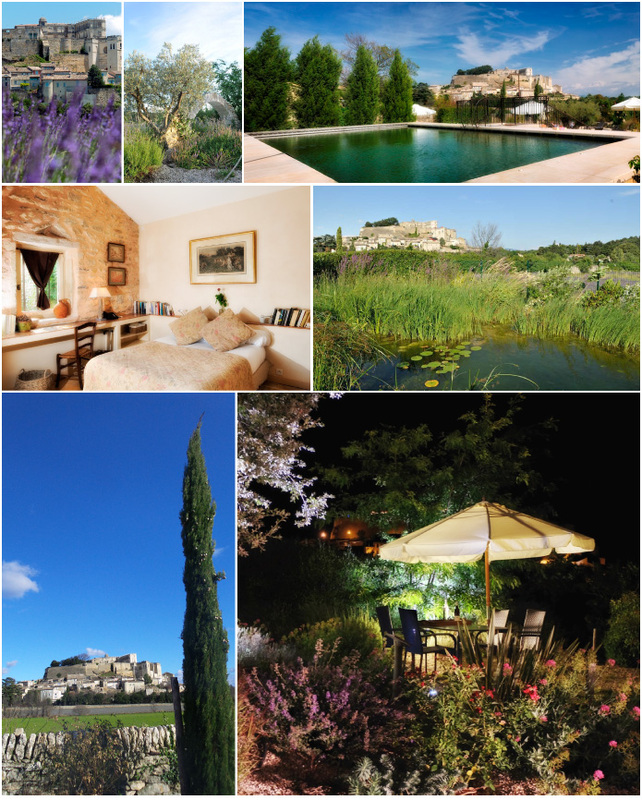 A magical hideout in which one can make the most of sunbathing by the natural pool and sip on a delicious glass of something in the Mediterranean garden with a clear view over the Grignan château. Did I hear you say “paradise”?